As has been widely reported, Linden Lab have updated the Viewer 2 splash / log-in screen with version 2.8.1. 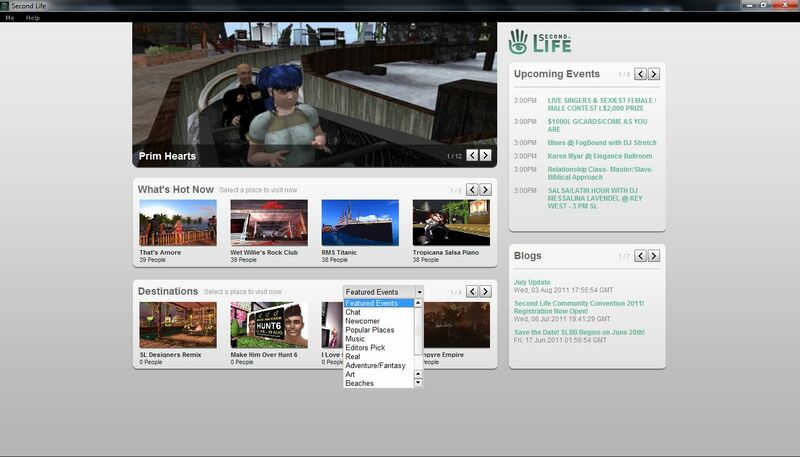 The new screen, available in both Basic and Advanced modes is a completely new, and interactive layout which may well encourage newcomers to SL to explore and take a dip in things – and could well help users who are logging-in specifically to attend an event to get to it from the off, and without having to log-in to home, or somewhere and dig-out a landmark. A Blogs Feed that features all current LL blog entries found on the dasboard, but without any streaming into familiar categories (“Featured News”, “In-world”, etc.). Clicking on a blog title open-up a pop-up window and displays the blog entry in a scrollable format (below). The lack of any info relating to current and 60-day logins is also unfortunate, and one has to wonder at the logic behind removing it. Overall, and interesting approach lacking a couple of features, but one that may encourage people to start exploring more, and help newcomers to seek out places of interest and potentially avoid getting unpleasantly dumped into one of the many (un)welcome areas within SL. At SLCC 2011, Brett Linden, Managing Editor at the Lab, reviewed the new log-in screen, commenting that it is currently “version 1” and the Linden Lab would like feedback on it in terms of how people are using it, information displayed, etc. 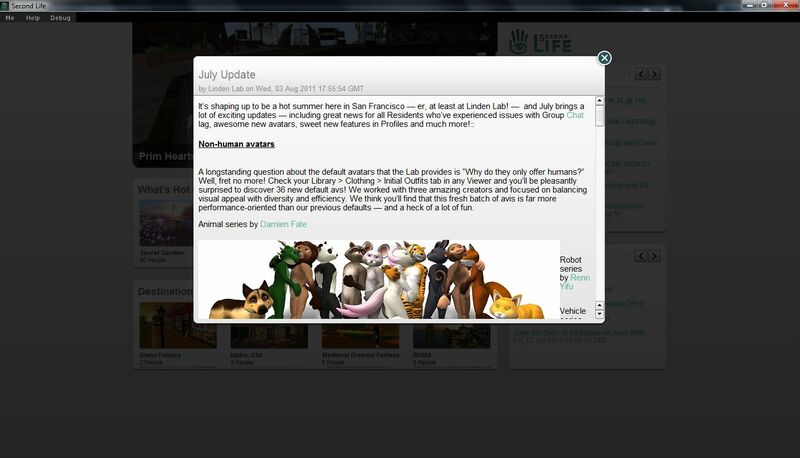 Brett and the Editorial Team can be contacted at editor@lindenlab.com.